Discover 5 common myths around the topic of performance management below. The topic of performance management is well-ingrained within the structure of professional life and has in recent years’ experienced major transformation, by becoming a far more comprehensive process for engaging employees and improving performance outcomes.Yet common myths about performance management are prevalent within the workplace, preventing some organisations from reaping the benefits of good performance management. Below we have outlined 5 of the most common myths surrounding Performance Management, do they exist in your workplace? If performance management was purely a discussion about how wonderful we all were then we would never learn, progress in our careers and reach our full potentials. It wouldn’t be beneficial to an organisation either to view itself or its employees with rose-tinted glasses. That being said, performance management is not about emphasising a person’s weaknesses, instead it is about employees being shown the support to identify and remove barriers to performance, acknowledge areas of strength and receive clarity and focus on future goals to be met. The CIPD further defines performance management as the ‘activity and set of processes that aim to maintain and improve employee performance in line with an organisation’s objectives’. The key is the relationship between the manager and staff member and the style of the performance management discussion, which should make it safe for the employee to reflect on strengths and development areas and plan for growth. There can be so much more to performance management when an effective performance management system exists! Discussions about development and career aspirations can take place, and valuable feedback can be gathered and provided, not only from line managers but peers, senior colleagues or customers. Training and coaching opportunities may also arise from performance management discussions. Furthermore, the scope of performance management is continuing to grow as technologies become more advanced and talent management activities can take place using an effective performance management system to monitor and improve performance in different locations and time zones. Increasingly, organisations are recognising the need for the traditional appraisal to be replaced by ongoing performance management conversations, yet many managers cite lack of time/resources as a reason for not delivering on this. It is often the responsibility of HR to present the business case to senior management as to why it is so important for performance management to have a year round focus if it is to drive productivity and engagement. HR also need to ensure that line managers are committed to playing their part in such culture change in order to achieve the right business outcomes. For organisations that have already adopted a year round approach on performance management, the benefits have been shown to far outweigh the time and resources required to make it happen. We need to reclaim the term performance management – all too often it is considered to be about focusing on negative performance and ‘performance managing’ people out of an organisation. It is used as a verb “To performance manage someone”. We need to move away from this 70’s mindset and flip the term and consider it to be about performance achievement or managing people performance. The essence is about helping people to perform with the support and help of their manager, let’s make some positive associations with this important process and reclaim it from being purely a pre-curser to the disciplinary process. It is easy to see where this common myth about performance management stems from. Again, it could easily be a throwback to 70’s style management! With old fashioned, top down performance management, the onus was all on the manager, their opinion and feedback. In today’s workplace many people do not even work in the same country as their manager so their view should not be the only one considered. A more up-to-date approach means that, line managers will be drawing on numerous sources of information to get a full picture of performance and can demonstrate that feedback is based on various sources, not just their own subjective opinion. In fact, in many cases the employee may be gathering feedback and driving the process themselves. Using an effective performance management system like Actus Software can make this process seamless as line managers can draw on previous one to one’s recorded in the system, recognition given by colleagues and feedback provided. They can also review earlier objectives set to see how closely an employee has met these. This way employees can feel that performance reviews are fair and transparent. Above we have outlined some of the common myths associated with performance management. 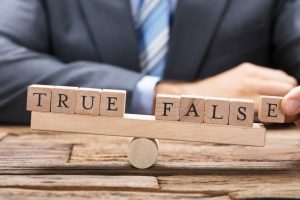 These myths are often based on outdated management thinking and an effective performance management system can help to challenge this. That is why at Actus we not only offer Performance Management Software, but also training and consultancy to help implement and sustain excellent performance management within your organisation. To find out more about Actus Software and the training and consultancy on offer, request a demo using the button below.